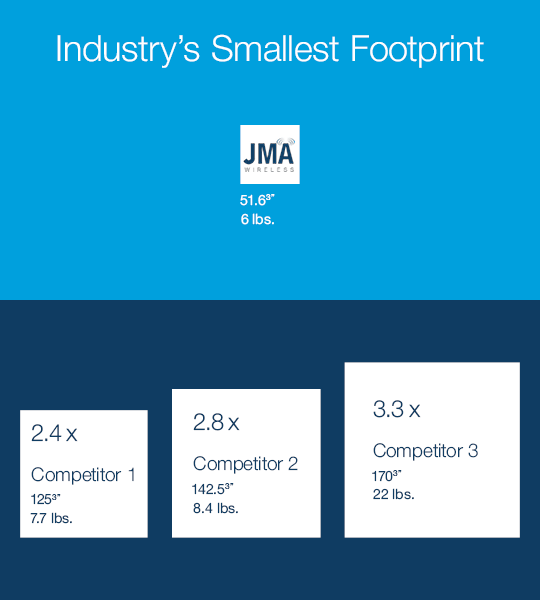 Significantly Smaller Footprint – Decreases tower space with a footprint as much as three times smaller than competitive offerings, which lowers lease costs and reduces weight. 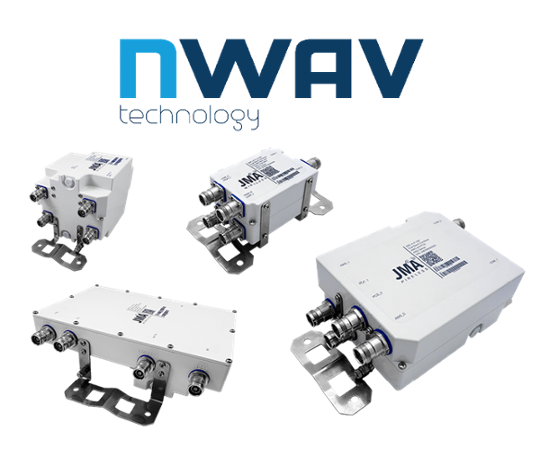 Broad Spectrum Support – 555MHz through 2700Mhz supported, including the recent AWS-3, 2.5Ghz and 2.7Ghz bands, and future proofed to support the upcoming 600MHz band. Smart AISG Signal Routing – Port DC detection automatically routes signal to AISG devices, easing installation by eliminating DC blocks and manual signal routing. 4.3-10 Small Form Factor Connectors – Provide superior PIM performance, JMA Wireless weather protection system compatibility, and IP67 performance even when unmated. Superior Return Loss and Port Isolation – Return loss of 22dB, with 60dB of input isolation, maximizes system performance by minimizing harmful noise. QR-Link Test Data – Allows field engineers to utilize mobile phones and QR code readers to immediately access measure test results for any device. For more detailed information on our Multi-Band Combiner portfolio, please visit our product section matrix.